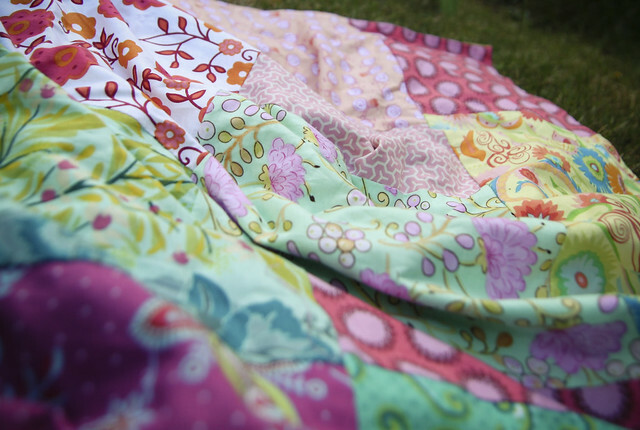 this summer, this quilt has been our companion as we breathe in life, healing, hope...as we let go and choose love...as we wave to the birds hopping around the yard. i always want to remember that getting outside and leaning into the simple moments can change my perspective and open me up. i always want to remember that i can just show up. i always want to remember that things can be softer if i give them space. i always want to remember that we live the life we choose...that i live the life i choose. i always want to remember that this is much more than a quilt.